Roster cut day is upon us. 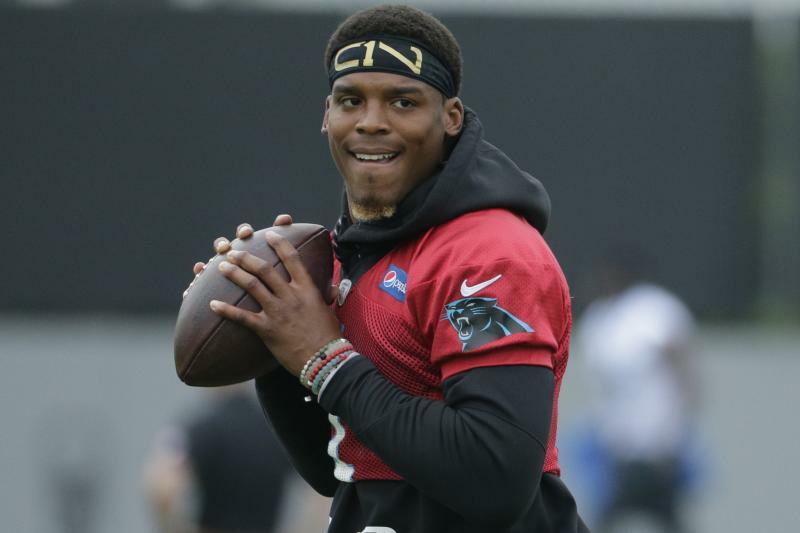 The Carolina Panthers will face the Pittsburgh Steelers Thursday night in Bank of America Stadium, a game that will likely feature exclusively backups. Unlike years’ past, the NFL will only have one cut down deadline which means every team will be forced to cut almost half their roster from 90 down to 53 players. The good news, the deadline is after the final preseason game. This means the front office will have one more opportunity to evaluate the players in game situation before making a decision. 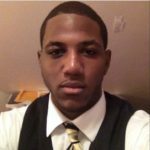 Carolina will have a number of tough decisions due to having great depth at multiple positions. However, due to having question marks at a few positions, the front office may also look at other options before the regular season begins. Here is a breakdown and predictions for the Panthers’ 53-man roster based on the players currently on the roster. Nothing too much to report here. 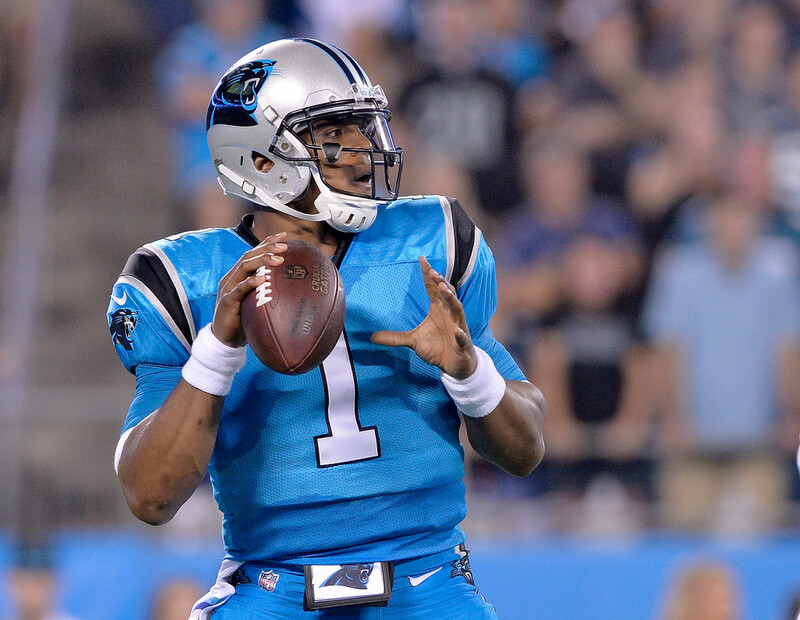 After Cam Newton’s dress rehearsal he proved his shoulder is close to fully recovered. The franchise quarterback has been rehabbing his surgically repaired shoulder this offseason and played in the preseason for the first time against the Jacksonville Jaguars. He was limited to two throws, but did complete both, and didn’t suffer any kind of setback. The backup job has been up in the air. Anderson has struggled this preseason while Joe Webb has played very well. 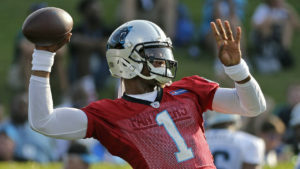 As long as Newton is healthy, this is a topic that likely will not need to be discussed. The play of Cameron Artis-Payne these past two games has made an excellent case for the Panthers to keep four running backs on the roster. The fullback position meanwhile was a two-man race between Darrel Young and rookie Alex Armah. Both players have played well this preseason, even as Armah transitions to fullback full-time. However, if the Panthers keep four running backs, there is not enough room for two fullbacks. It would make more sense for the team to try and keep the rookie on the practice squad this year as he learns his new position. The other ripple effect of keeping four running backs is that the Panthers only have five spots available at wide receiver. However, the addition of Joe Webb on the roster, who has experience at wide receiver, could be an emergency sixth wide receiver if the need arises. Even with only five wide receivers, the position appears to be much deeper than last year with rookie Curtis Samuel, Russell Shepard, and Damiere Byrd at the end of the depth chart. The group is well rounded and brings different skill sets to the position. Kelvin Benjamin and Devin Funchess bring a great combination of size on the outside and in the red zone, the speed of Curtis Samuel and Damiere Byrd can stretch the field and Russell Shepard, a solid possession wide receiver. 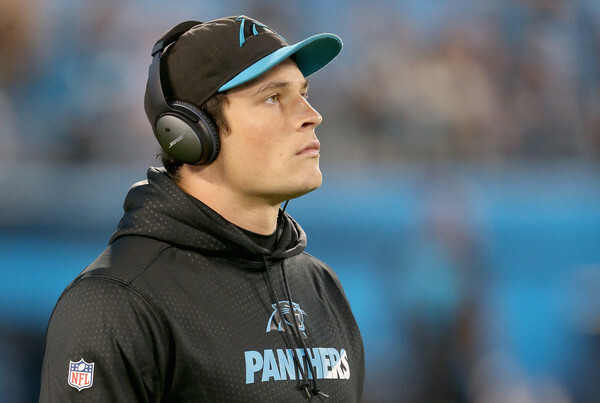 Similarly to the quarterback position, the tight end position didn’t have too much change with Greg Olsen and Ed Dickson remaining at the top of the depth chart. Olsen is one of the best in the league at the position and Dickson is a veteran who could step in if the need arises. The Carolina Panthers offensive line has played much better this preseason with the play at tackle being the biggest change. At left tackle, Matt Kalil has played well over the first three games and on the right side, Daryl Williams and rookie Taylor Moton have continued to compete for the starting job. It remains to be seen who will win but both are capable of handling the job and provide excellent depth. Amini Silatolu has been used as the backup to Matt Kalil at left tackle. Silatolu, who was previously a guard, brings versatility to the offensive line and is the primary backup at every position except center. Along the defensive line, there shouldn’t be too many surprises. 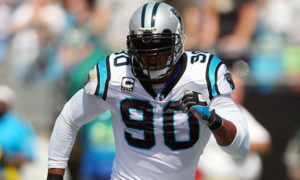 The last spot could be used for either defensive end or defensive tackle depending on how healthy Vernon Butler is. Th second-year defensive tackle has missed a majority of the preseason after suffering a knee injury in the first game against the Houston Texans. 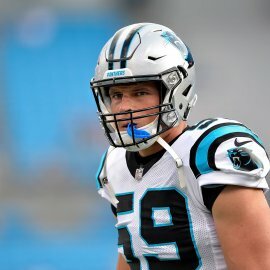 The linebacker position remains the strength of this defense with Thomas Davis, Luke Kuechly and Shaq Thompson leading the way. The emergence of David Mayo this preseason helps solidify the depth with the loss of A.J. Klein. Former Clemson star linebacker Ben Boulware, an undrafted rookie, has not done enough this preseason to warrant a roster spot. He should be beaten out by Ben Jacobs due to his play on special teams. After struggling most of the 2016 season, second-year corners James Bradberry and Daryl Worley should continue to develop after a strong finish to their rookie seasons. The biggest concern is the depth behind the starters. 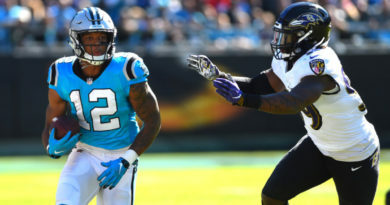 The addition of Captain Munnerlyn brings veteran leadership to this position and should be a boost to the nickel position. After Munnerlyn however, this group is untested and could become an issue if a starter is forced to miss extended time. Zack Sanchez, the other cornerback drafted in 2016, could be the difference maker. He had a strong performance against the Jaguars which may have earned him a spot on this roster. He will need another one against the Steelers but if he continues to improve he provides depth that is desperately needed. The depth at the safety position is a major concern after the Panthers released Dean Marlowe earlier this offseason. Colin Jones has been in the league for seven years, however, has primarily been a backup with some time spent at the nickel position. The last spot likely comes down to McCray and Dezmen Southward, which at this point could come down to a coin flip. Both have had flashes this preseason but neither has run away with the opportunity. This is one position that the Panthers will likely be looking at the waiver wire for after the round of cuts. The biggest surprise here will likely come at kicker with rookie Harrison Butker beating out Graham Gano. The veteran is coming off a down year last year but has been more accurate this preseason. However, the Panthers drafted Butker with a change in mind and his performance has been equal to Gano’s this year. Also, if the Panthers released Gano they would save $3.25 million this year.